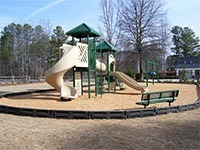 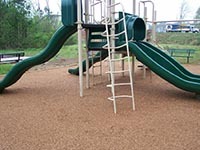 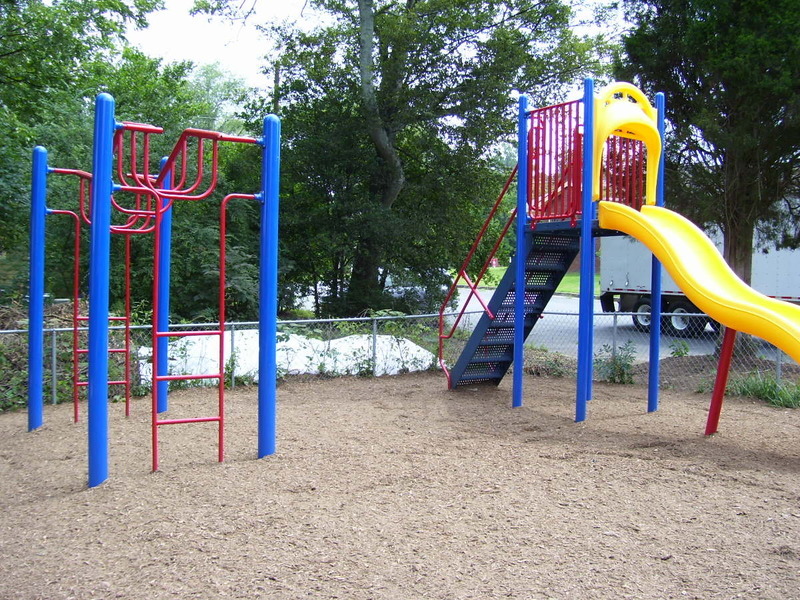 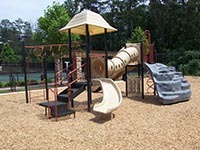 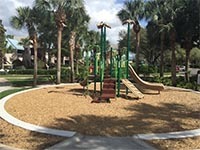 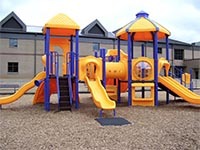 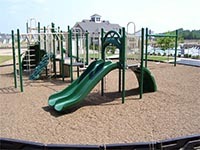 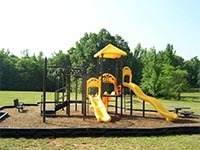 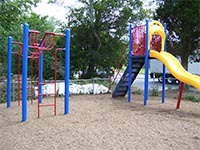 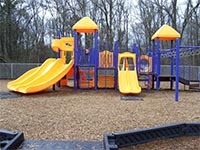 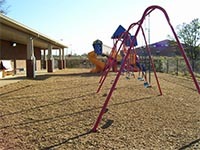 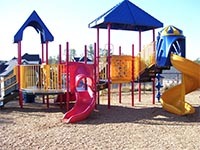 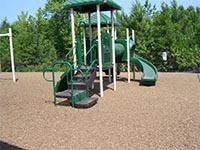 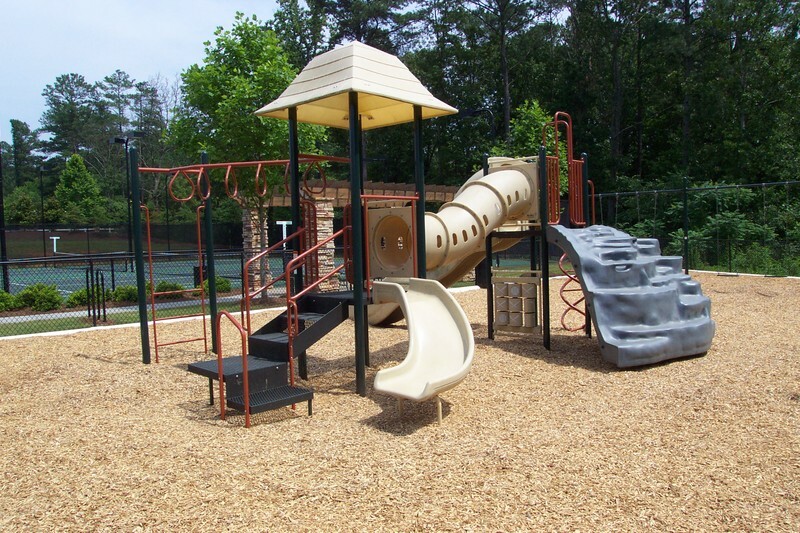 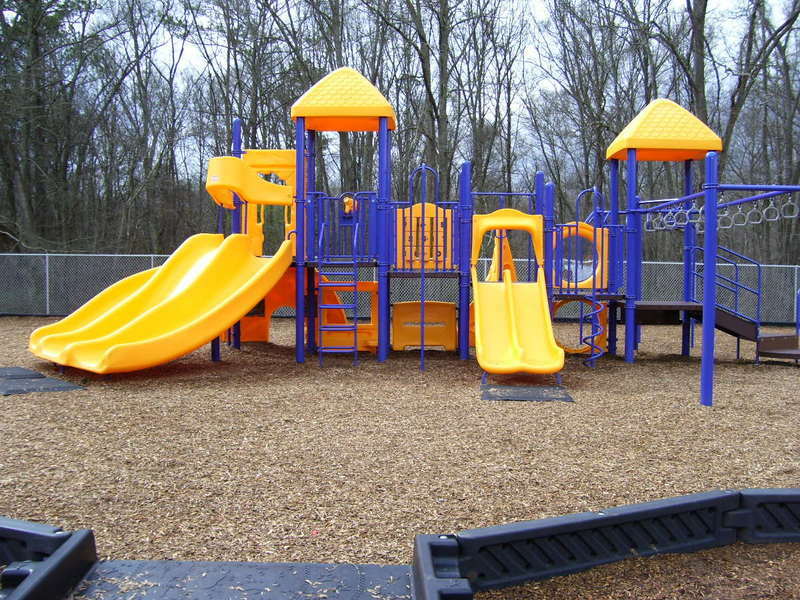 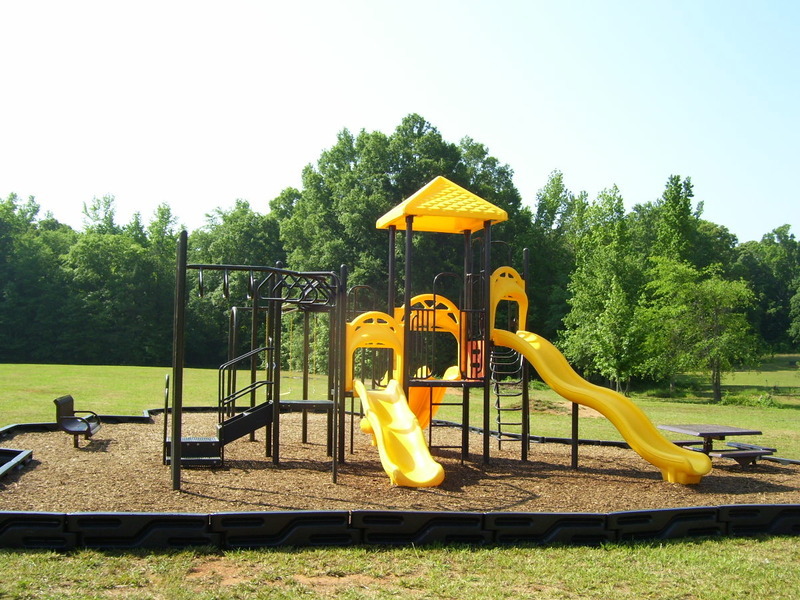 Engineered Wood Fiber (EWF) is the most common type of playground safety surfacing. 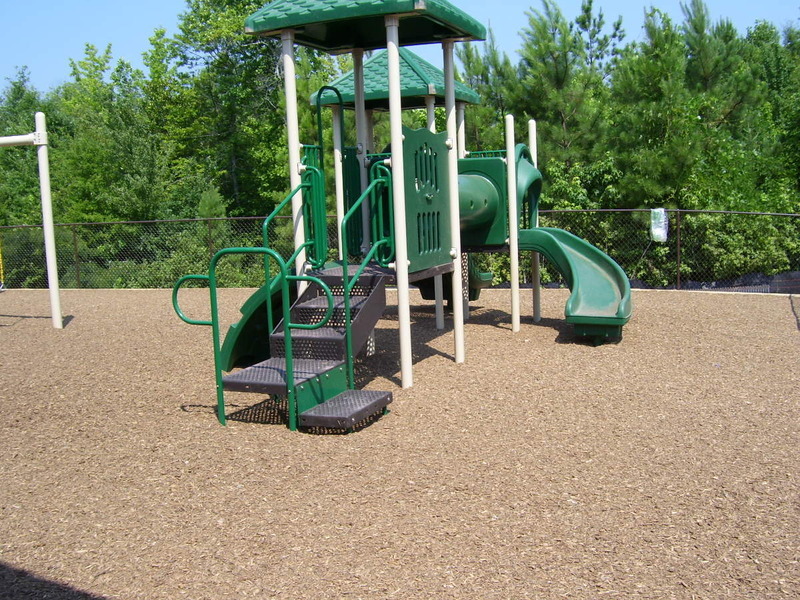 If you want an inexpensive, natural-looking surface that also meets Americans with Disabilities Act (ADA) requirements, then Engineered Wood Fiber is the product for you. 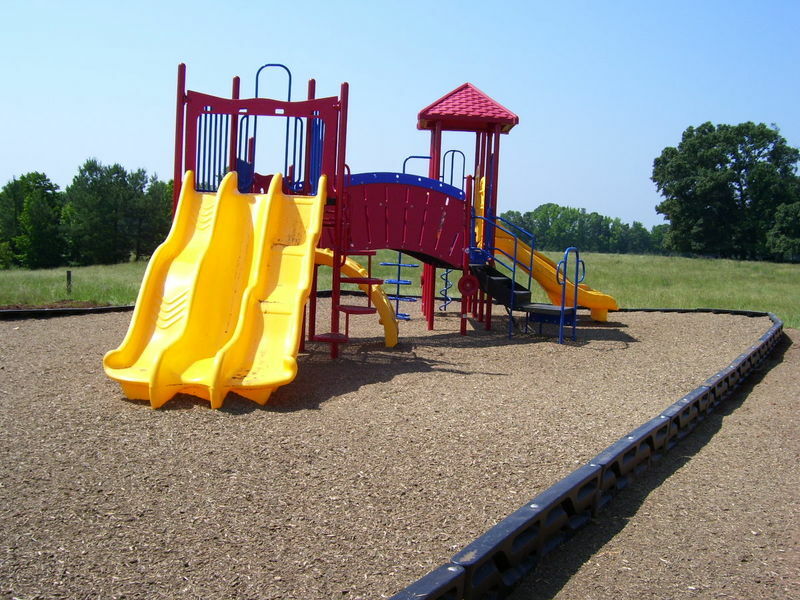 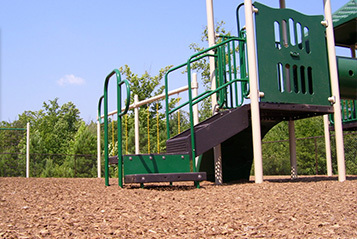 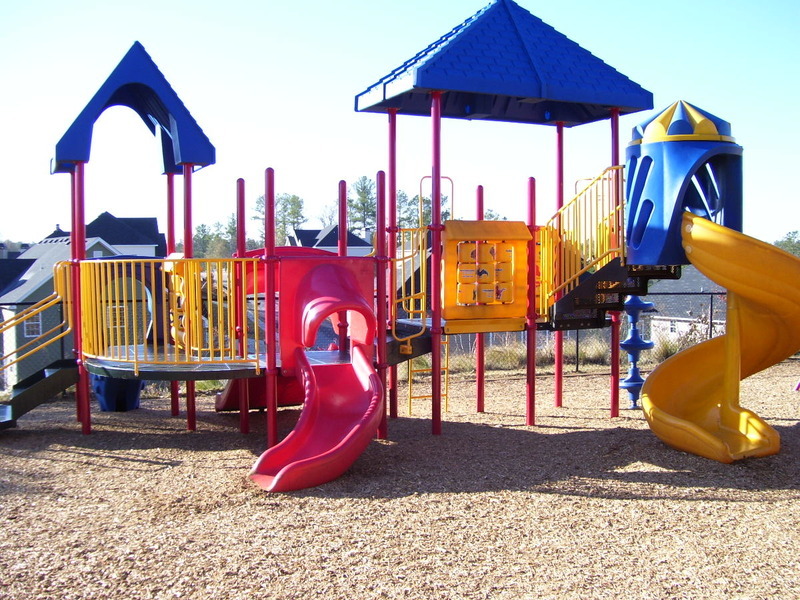 EWF, as with all of our playground safety surfacing products, meets or exceeds Consumer Products Safety Commission (CPSC) recommendations as well as all American Society for Testing and Materials (ASTM) requirements. This product is sold by the cubic yard and is International Playground Equipment Manufacturers Association (IPEMA) certified for fall heights up to 12 feet. Engineered Wood Fiber is manufactured from a variety of hardwoods and/or softwoods. 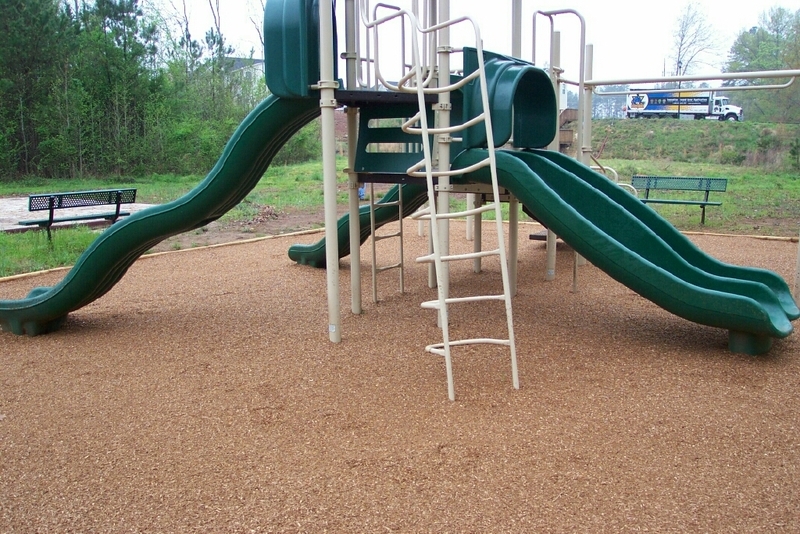 When installed, EWF provides an impact attenuating surface that helps reduce fall related injuries. Residential Area, Apartments Complexes, Restaurants etc. 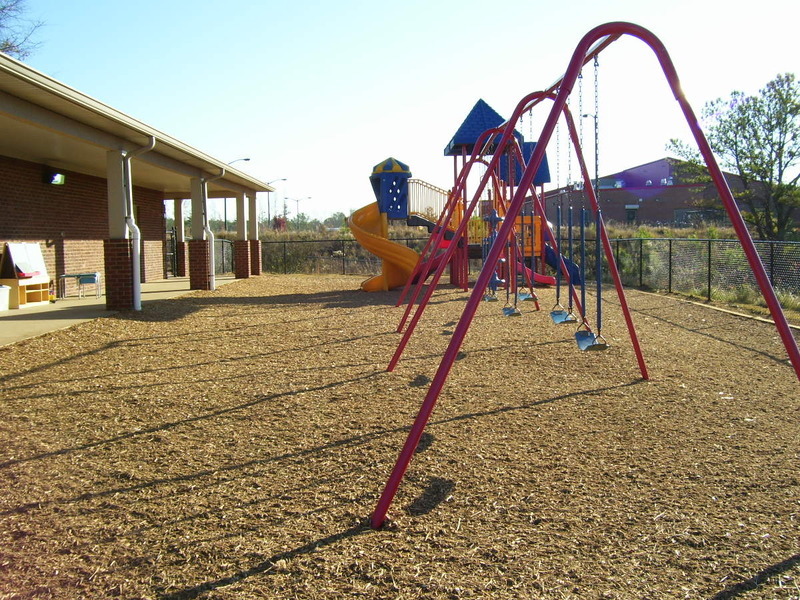 Engineered Wood Fiber can move around and get displaced after consistent play. 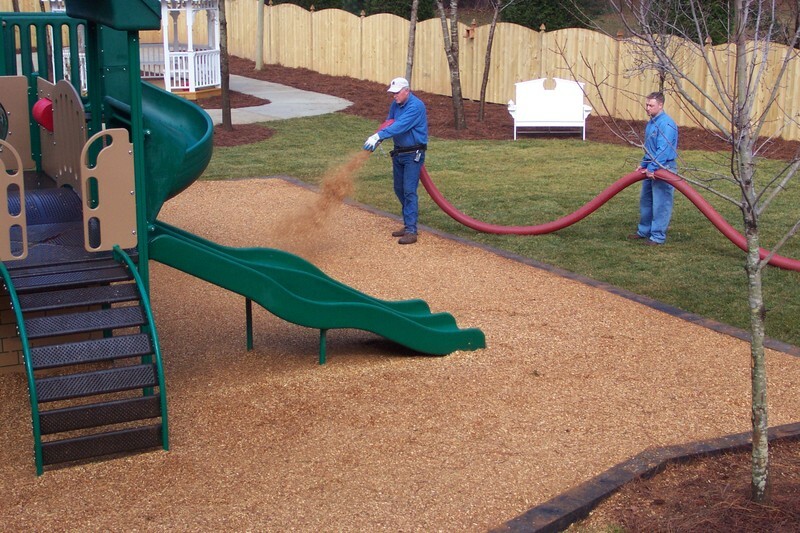 It is important to make sure that the material is spread evenly and at the proper depths throughout the entire play area. 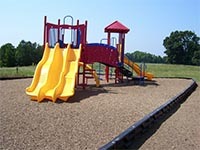 Because EWF is a loose-fill material, there is potential for foreign objects to get mixed in with the surfacing. 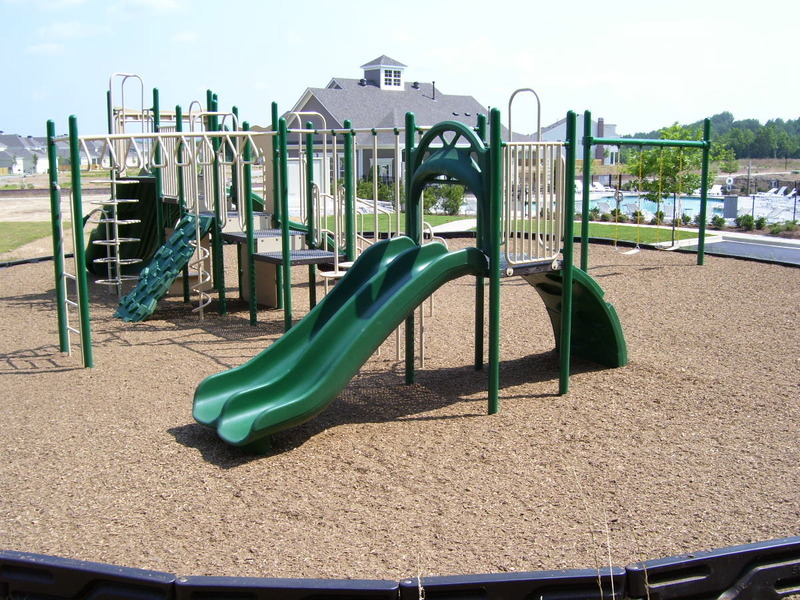 EWF requires regular inspection and removal of foreign objects from the playground surface to ensure that the surfaces remains safe for play. 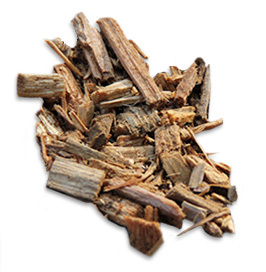 Engineered Wood Fiber will compact and decompose over time due to use and weathering. 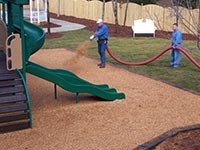 Make sure that the mulch surface is periodically checked to ensure that it is not below the recommended depth. 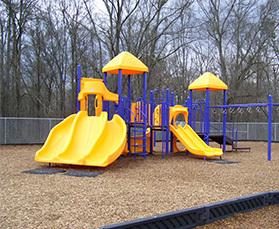 If it is, additional material should be added.